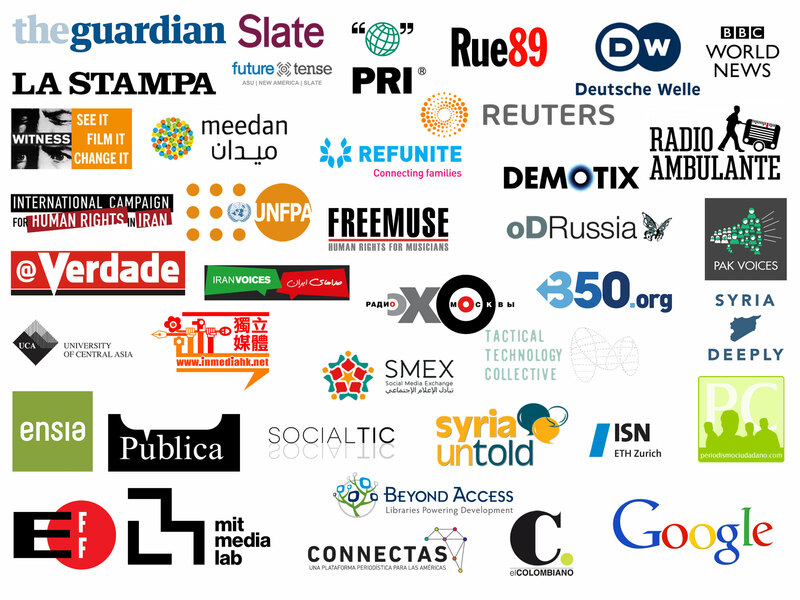 Are you an organization that wants to republish Global Voices stories? Or do you produce content that you think would be a good fit on our site? Are you interested in tapping into our dynamic Lingua team, which translates stories into more than 30 languages? If you answered yes to any of these questions, drop us a line at partnerships AT globalvoices DOT org. Since 2004, we have worked with an extraordinary network of partners. Commission: You commission us to write independent stories on a specific topic, region, or issue. Co-production: Our editors work with your editors or writers to co-produce stories that are published on both sites. Glocal editing: Are you a credible local news site? We edit for global audiences and translate and republish your local stories, so your content can reach global audiences. Cross-posting: We exchange content and link to each other through our Creative Commons license. Translation: You can hire our global community of tech-savvy and culturally-aware translators. Mentoring: Our community members mentor aspiring writers and translators. GV experts: Get in touch if you need an expert for a media appearance, research, or conference. Coverage: We love shining light on good work that like-minded organizations do. Contact us if you need help promoting a campaign or event that you think falls under our mission. Global Voices has become an essential ally for Infoamazonia because we can disseminate articles to a much wider network of readers. We have shared maps and content on GV Portuguese, which have then been translated into eight languages. For us it is very important to have a partner with global reach who is worried about the Amazon. We've spent years learning together, collaborating on books and online, and we hope to continue to try to improve the information available in the Spanish-speaking world. Global Voices is a great travel companion […] breaking down language barriers and mainstream media agendas in order to democratize content so that together we can dream of a more participatory world of global voices. Latin America is changing thanks to its youth, civic innovators and wide range of opinions. GV brings these perspectives, voices and reflections from Latin America to the world. For SocialTIC, GV is more than a media ally; it is a space that elevates innovative agents of change throughout Latin America.